The Jayakarta Anyer Hotel is a world class in terms of clean air, gentle breezes, and natural beauty panorama with sea view facing to the legendary Volcano of Krakatau, whose eruption in 1883 was felt almost across the globe. On the other side, a beautiful Shanghyang Island has a beautiful coral area for diving or snorkeling activity. 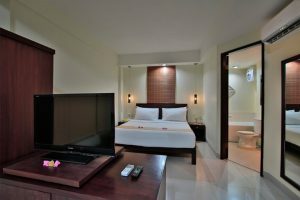 The Jayakarta Anyer Hotel is beautifully located on Bandulu Beach along the North Coast of Banten, only a pleasant two hours drive from Jakarta. Whether you’re planning an office get together or excursion, or just a quick private getaway for your accommodation in Anyer, from the hustle and bustle of the city, The Jayakarta Anyer offers the amenities and atmosphere you are looking for. 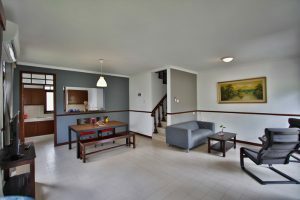 The property is 3 hours driving distance from Jakarta, situated at the Bandulu beach along the northern shore of Banten. From Soekarno Hatta International Airport about 137 km, 180 minutes driving. From Cilegon Train Station about 35 km, 60 minutes driving. From Cilegon Bus Station about 35 km, 60 minutes driving. From Merak Harbour about 35 km, 60 minutes driving.